The second cancer victim in a year to win a surprise victory against US pesticide maker Monsanto raises the prospect of a flood of similar lawsuits, potentially leaving the firm's new German owner Bayer with a major case of buyer's remorse. From the toxic legacy of Monsanto's Roundup weedkiller to fears about its use of genetically modified seeds, here's what you need to know about the $63-billion (55.5-billion-euro) merger between Bayer and Monsanto. Founded in Germany in 1863, Bayer is still best known for making aspirin. But more infamously, it briefly sold heroin in the early 20th century, which it marketed as a cough cure and morphine substitute. During World War II, Bayer was part of a consortium called IG Farben that made the Zyklon B pesticide used in Adolf Hitler's gas chambers. Through a series of acquisitions over the years, Bayer has grown into a drugs and chemicals behemoth and now employs some 100,000 people worldwide. Much of its success in recent years was built on blockbuster drugs like Eylea—used to treat damage to the retina—or prostate cancer treatment Xofigo. Monsanto was established in St. Louis, Missouri in 1901, setting out to make saccharine. By the 1940s, it was producing farm-oriented chemicals, including herbicide 2,4-D which, combined with another chemical was used to make the notorious Vietnam War-era defoliant Agent Orange. In 1976, the company launched probably its best-known product, the weed killer Roundup. Company bosses say that alongside applying big data to farmer's interventions on their crops, such resistant plant and pesticide combos will contribute to fatter harvests—needed to feed a world population expected to hit 10 billion by 2050. Dubbed "Monsatan" and "Mutanto" by critics, the US firm has for decades been in the crosshairs of environmentalists, especially in Europe, who believe that GM food could be unsafe to eat. Campaigners also abhor Monsanto's production of glyphosate-based Roundup, which some scientists have linked to cancer although other studies dispute this. Hoping to ditch Monsanto's reputation, Bayer has said it plans to drop the name from its products. Bayer's share price plunged Wednesday by more than 13 percent, after a jury in California federal court found Roundup was a "substantial factor" in amateur gardener Edwin Hardeman's cancer. Investors were spooked even though the court has not established whether Bayer and Monsanto were liable for the disease. The ruling followed an August state court trial in which jurors awarded school groundskeeper Dewayne Johnson $289 million in damages over his terminal non-Hodgkin's lymphoma. 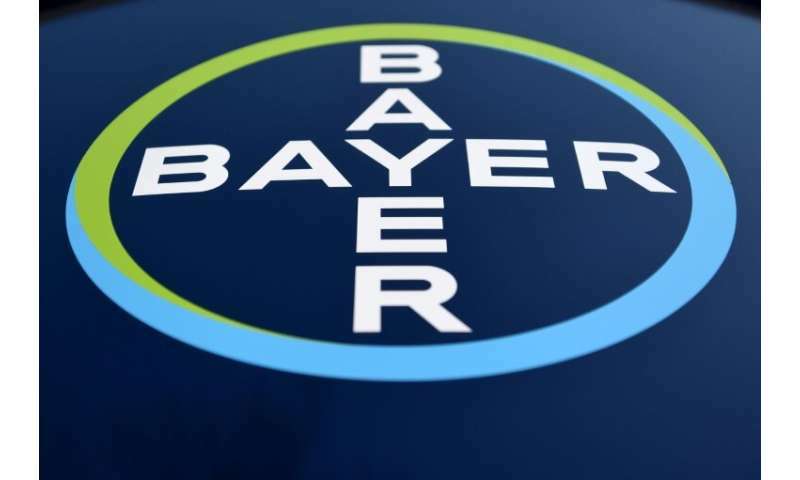 That figure was later reduced to $78.5 million, and Bayer plans to appeal the case. 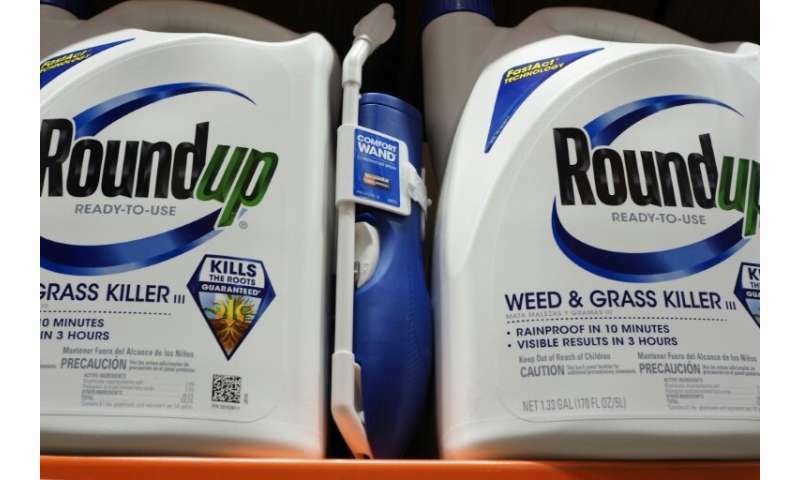 The firm stands by its position that "regulatory authorities around the world consider glyphosate-based herbicides as safe when used as directed". But that may not be enough to reassure shareholders. "If you are expecting stock markets as a whole to do better then you don't want to be stuck with the one company that is facing huge legal claims," IG analyst Chris Beauchamp pointed out. In an industry preparing for a global population surge, Bayer had been keen to secure Monsanto's market-leading line in GM crop seeds designed to resist strong pesticides like Roundup. It was also lured by Monsanto's data analytics business Climate Corp, believing farmers will in future rely on digital monitoring of their crops. But the takeover comes at a high cost. Beyond the eye-watering price tag, Bayer had to give up much of its seeds and agrichemical business to satisfy competition concerns. Those divestitures have gone to Bayer's homegrown rival BASF. Following the California court verdicts, Bayer may now have to set aside huge sums to settle future Roundup claims. Analyst Michael Leacock of MainFirst bank assessed that "the total cost, in our view, could easily reach $10 billion" if Bayer were to settle with a still larger number of plaintiffs.